Ah, the Mediterranean—it conjures up images of azure seas, beautiful coastal towns, and old-world culture. But the Mediterranean is also becoming known by medical experts here in North America as a place populated with healthy people. It all has to do with their special diet and it can boost your health. The Mediterranean diet has been studied extensively for its numerous health benefits. This article, however, is going to focus on just one: what the diet can do for your heart. Researchers from the Cardiovascular Risk and Nutrition Research Group, or CARIN, as they call themselves, took a look at one very important mainstay of the Mediterranean diet: olive oil. This tasty oil has been a staple in the Southern Mediterranean diet for centuries. We even have evidence of the health benefits of consuming olive oil, dating back to the Middle Ages. What makes olive oil so good for you? It has something to do with high oleic acid levels. Oleic acids are omega-9 fatty acids. These fatty acids are considered a good choice nutritionally. They can raise your levels of HDL cholesterol and help keep LDL cholesterol in check. LEARN MORE: The different foods that make up the Mediterranean diet. Olive oil is also high in phenols. 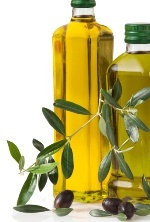 According to CARIN, olive oil phenols exert antioxidant, anti-inflammatory, and anti-microbial activities in the body. In fact, they say the evidence for some of these phenolic compounds is so strong that olive oil should legally be allowed to use these health claims on labels and other packaging. Here’s just one example: researchers at the University of Calabria in Italy studied olive oil phenols in the fight against cancer (cancer rates are low in the Mediterranean). The phenolic compounds were found to exert antitumor effects, including stopping the spread of new cancer cells and boosting the death rate of existing cancer cells. Olive oil phenols have been tried on numerous cancer-cell types such as leukemia, colorectal, and breast cancer cells with promising results. It definitely sounds like this is one functional food that should be a “must have” in your diet. Cadaburi, I., et al., “Potential of olive oil phenols as chemopreventive and therapeutic agents against cancer: a review of in vitro studies,” Mol Nutr Food Res. January 2013; 57(1): 71-83.